This sculpture, titled Onomato Teapot, is assembled of glass and ceramic parts. The base is a slab of tinted clear glass with irregular edges. 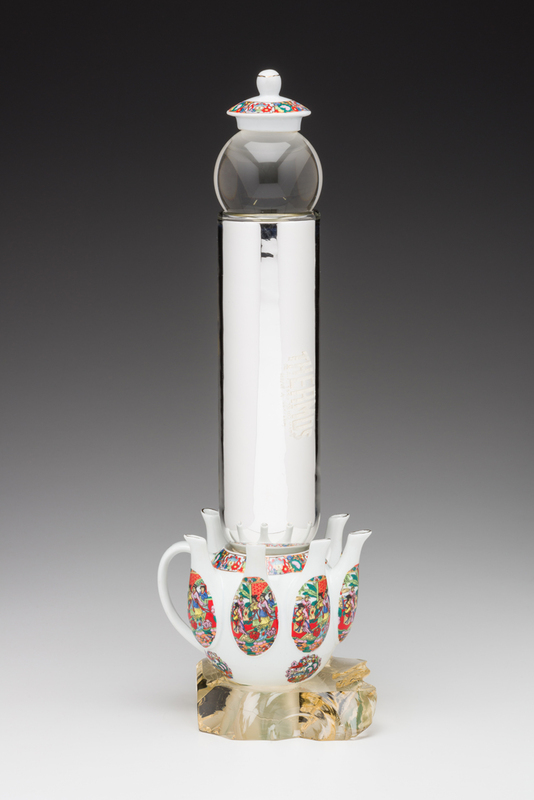 It holds a multi-spouted white ceramic teapot that is surmounted with a silvered glass cylinder. 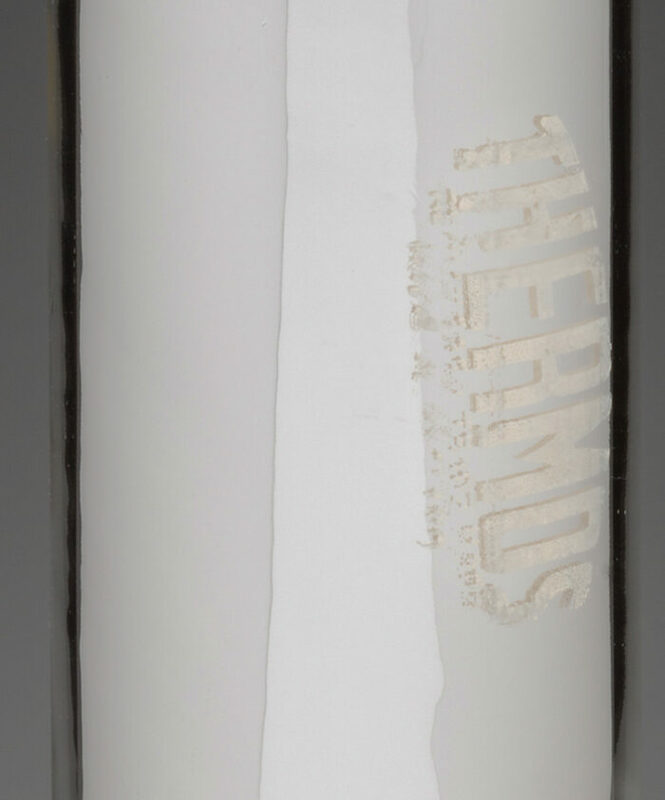 A “Thermos” logo is etched on the side of the cylinder. At the top is a solid glass globe, capped with the teapot lid.